Metrorail will open at 5 a.m. Sunday to accommodate those traveling to the Nike Women's Half Marathon. The start line is accessible from Metro Center, Federal Triangle or Archives stations. 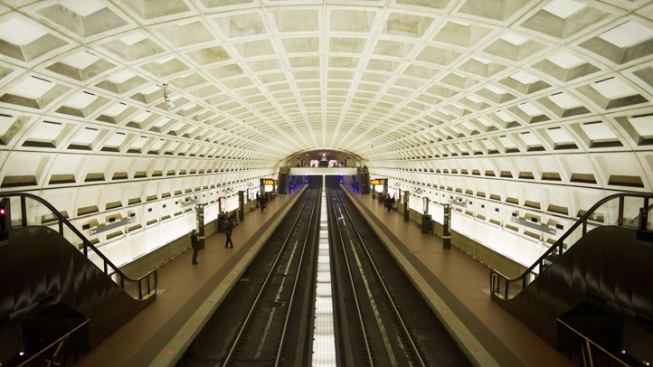 On the Red Line: Two stations -- Rhode Island Avenue and Brookland -- will be closed starting at 10 p.m. Friday through the system's closing Sunday night. Fort Totten will be open for Green and Yellow line service only. Trains will run in two segments, between Glenmont and Takoma, and between Shady Grove and NoMa-Gallaudet, every 10 minutes. Free express buses will operate nonstop between Takoma and NoMa-Gallaudet. On the Blue and Orange Lines: Blue and Orange line trains will single-track between McPherson Square and Smithsonian. Trains will run every 20 minutes in each direction. On the Green Line: Trains will single-track between Greenbelt and College Park, and between Naylor Road and Branch Avenue. Trains will run every 20 minutes in each direction. On the Yellow Line: Trains will operate between Huntington and Fort Totten. Trains will run every 20 minutes.